I knew something was amiss. It was too quiet. A little breadcrumb trail of blue and purple hair led from the dining room into the playroom, then up the stairs where she ran to when she heard me get up from the table. At first that was a relief, she just cut up her doll again, no big deal. It was her troll doll and that makes me sad, but whatever. But as I got closer to her room I saw the bundles of long blonde strands sporadically sprinkled in. Sure enough, her mini bangs that had just started to finally get long enough from the last scissors incident were again mini and spiky. Her hair line now looks like an M.C. Escher painting with snips here and pieces missing there. Every kid is going to cut their own hair. 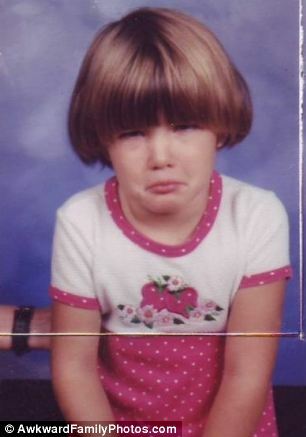 I had a bowl cut in the second grade because of playing barber shop with my cousin and failing miserably. HOWEVER, this is the ninth or tenth time we have had this conversation. No scissors, no hair, no cutting hair, no cutting your brother’s hair, please for the love of God stop getting sharp objects. Again, this is an impulse control problem that I know we will continue to deal with. So, we are cutting her hair. Her hair is down to her waist almost and all it does is cause us pain. She screams when it’s time to brush it, no matter how gentle and soft you are. She never keeps it up or keeps in barrettes to get her bangs out of her face. It’s a knotty mess most of the time and now I can’t get her to stop cutting it. So off it goes. Well she was not happy with this decision to say the least. Hair cut is happening this weekend. Hopefully we both make it through the ordeal. lol I love this story, brings back so many memories. short hair is a blessing if dealing with long hair is causing fits, and grief, little girls are cute with long or short hair….any scissors blunt/safety, doesn’t matter needs to be up with the draino/pain thinners/power drills…. Aww, I think that photo of the sign on the door will be a great memory to laugh about 10 years from now!